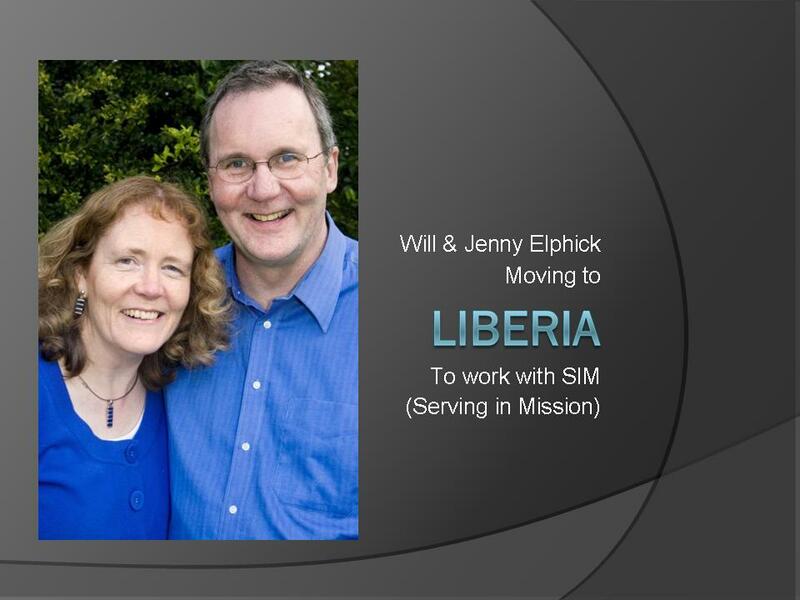 Watch the film below to find out about Liberia and the work that Will and Jenny are going to do there. If you are UK Tax payer you can ‘Gift Aid’ your donation. Mr Brook has been through hundreds of pictures from the school year. Many of them have been selected and put into 3 films - see below. Each film has a selection of all age groups in the school and covers a wide range of activities. The music with each film has been chosen from chart hits from the last 12 months. It has been an incredible year at SRH. Please watch these films for some great memories. Have a lovely Summer holiday everybody. A huge group of children, staff and parents joined Mrs Elphick on the school field for aon a beautiful summer's afternoon. The Thomas Mills High Sch ool samba band provided some great extertainment followe by Miss Hitchcock's recorder players and the school singing club. There was an opportunity for the children to play games, eat ckes, have a drink and an ice lolly. Mrs Elphick then released 350 balloons (each with a number linked to a child in the school). The one returned from furthest away will earn a prize. The whole afternon was really enjoyed by Mrs Elphick. Thank you to everybody who helped organise the event. We thank you lord for this leaver`s service and for the teachers who helped us prepare for this service and for their help throughout the year. We pray that our move to the high school goes well and that we make new friends and learn new things. We wish Mrs Elphick well in Liberia and that she helps the people there just as she`s helped us at S.R.H. Finally, keep us safe this summer LORD. Well here it is, after 14 years, my last newsletter. I want to take this opportunity to say a huge ‘Thank you’ to you all for the part you have played in making Sir Robert Hitcham’s School the great place that it is! I have so many treasured memories over the years from Christmas productions about grumpy sheep, watching winning goals in netball matches, laughing over a good joke with the children at lunch, visits to the London Opera with awe struck groups of year 6 pupils, to hearing a small child conquer their nerves to read their work out in a Friday assembly. It is impossible to put all the wonderful experiences I have had into words. It has been a privilege to work in such a special school with so many special people both young and not so young! Thanks to all the staff, Governors, pupils and of course to you the parents. Please come along and join us on Wednesday afternoon for a relaxing time to play with the children, chat with friends and say our farewells. I have really loved my job in Framlingham but I’m excited as I look to my future in Liberia too. Just a reminder to parents, grandparents and siblings that you are all welcome to join the pupils on the field from 1.30pm on Wednesday 21 July to say ‘Goodbye’ to Mrs Elphick. Please bring a blanket or chair to sit on and a drink. We will be providing a cake and an ice cream for the children. In case of rain please still come into school at 1.30pm and go to your child’s class for games. During the afternoon there will be an event in the hall. We look forward to seeing you all there and we have a special surprise planned for the end! 1st place Howard; 2nd place went to Hitcham; 3rd place to Bulstrode; and Mills came 4th. 1st place Bulstrode; 2nd place Mills; 3rd Howard; and Hitcham came 4th. For the last day of term there will be a special ‘Seaside’ themed lunch with Fishy Sea Stars, Cheese and Tomato pasta, Chips, Garlic Bread, Carrots and Cucumber Sticks, Raspberry Ripple Mousse. Our cricket team did really well getting to the National finals of this competition; do take a look at the blog for photos of their day at the County ground in Derby. To encourage children to read over the summer holiday, Framlingham Library are running a free ‘reading challenge’, this year’s theme is ‘Space Hop’. The children can register on Sunday 11 and 18 July or anytime from 24 July when the scheme starts. They will need to read 6 books – fiction or non-fiction (must include one non-fiction) – during the school holidays and tell the library staff about the book they have read. PLEASE ASK AT THE LIBRARY FOR FURTHER INFORMATION. 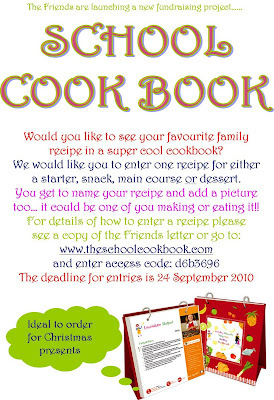 The Friends are creating our very own school cookbook and we would like you to contribute your favourite family recipe. For those of you with internet access you can log on to www.theschoolcookbook.com use our Parent Access code to log-in: d6b3696 and send us your recipe online. Don’t forget to name your recipe and you can even upload a photo to go with it. Just follow the onscreen instructions – it’s really quick and simple to use. The maximum is 140 recipes, so please do not enter more than 1 recipe. Remember to double check your entry before you press ‘Save this recipe’. The Friends may have to remove any duplicate recipes but we’ll contact you to ask you for a replacement. Please email lydiakindred@aol.com so we can check your submission has been successful. If you do not have internet connection at home you can still contribute by completing a recipe sheet (copies in the office) and return it to the school. An example of the cook book is at the office. We will have spaces in September for any Year 3 - Year 6 pupils who wish to learn guitar. Please collect a form from the school office before the end of term if your child is interested. happy and relaxing summer break. The children return to school on Thursday 2 September. Mrs Helen Picton who is currently the head of St John’s CEVAP School, Ipswich be appointed. We look forward to Mrs Picton coming in January 2011 and I am sure we will all welcome her as she takes up her new appointment. On Friday a celebration for Mrs Elphick was held in the school hall. There were lots of teachers, relatives, parents, governors and friends of Mrs Elphick there to say thank you for everything that she has done for Sir Robert Hitcham's. It was an enjoyable and emotional occasion. Mrs Elphick was given some gifts (a video recorder and e-book reader) and there was a super cake for her to cut. Each class at SRH made a video tribute to Mrs Elphick which she and the guets enjoyed watching. Mrs Elphick also gave a wonderful speech about all of the things that Sir Robert Hitcham's means to her. Doing her best for the children in this community was top of her list. Please watch a slideshow looking back over Mrs Elphick's 14 years at SRH - see below. Remember that there is a picnic on the field on Wednesday afternoon which all children and parents are invited to. What a memorable week at Whitwell. It was the largest group that we have ever taken and according to Mr Byer (34 years experience) the windiest ever. The photo below is remarkable because it shows Mr Byer with 10 children whose parents went to Whitwell with him over 20 years ago. Perhaps one day there might be some Whitwell grandchildren! Our school cricket team had a brilliant experience at the National Finals on the lov ely County Ground in Derby. There were 16 regional champions from all parts of England and Wales. We were in a group of 4 teams with South West Champions from Wimbourne (Dorset), North from Barrow (Cumbria) and Yorkshire Champions from Leeds. It was great to meet and play against children from other areas but rather nerve racking. Two days of camping and outdoor activities plus a 3 and a half hour journey (getting up at 5.30am) was hardly good preparation and our boys were quite sluggish in the first match v Wimbourne. We played probably our worst game of the season losing to the Dorset boys who were very talented - particularly at bowling. Our second match v Barrow was close. We played better but lost narrowly. Wimbourne beat all of the teams in our group convincingly and Leeds had beaten Barrow. We went into our 3rd match really wanting to put in a good performance and still finish as runners up in the group. We batted first against the boys from Yorkshire (there are 1000 Primary Schools in Yorkshire compared with about 250 in Suffolk) and got a good score on the board. Robert Hitcham's then bowled and fielded to the best of their ability. There were some brilliant catches taken by Josh, Ryan, Charlie and Adam. We took 11 wickets in this match to win by a big enough margin to put us into the last 8. Unfortunately the weather now turned nasty and only the group winners were to play each other. The final even ended up being played indoors in the superb indoor cricket school at the ground. For SRH Framlingham to finish in the top 8 teams in the country was a thrilling end to what has been a great season of cricket. Over 125,000 children took part in this year's competition so our boys can be really proud of their achievement. With two of our team in year 5 and with loads of promosing players coming up through the school, hopefully we can look forward to another good summer of cricket next year. More photos were taken by some of our parents. These will be added to the blog early next week. Thanks to Mr Cantrell for his support throughout the season, to Helen Brook for keeping our scores at the County, Regional & National Finals and to Mr Dyer for videoing at the Nationals.